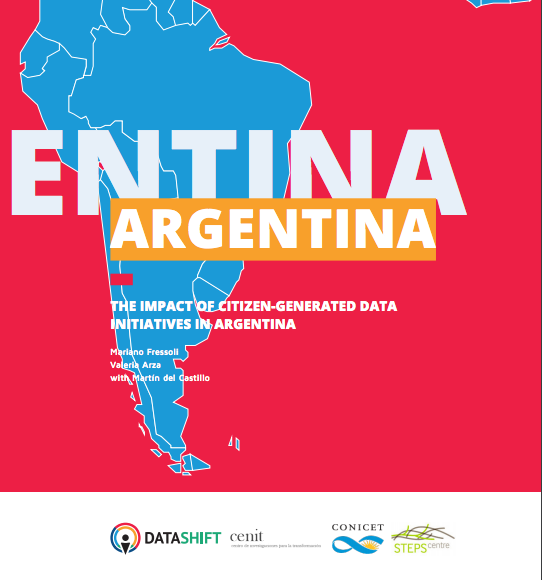 From August – October 2016, DataShift Direct Support Phase II (DSII) will focus on supporting organisations to collect, manage, analyse and disseminate citizen-generated data (CGD) with the goal of creating effective gender-related campaigns in four priority countries: Argentina, Kenya, Nepal and Tanzania. 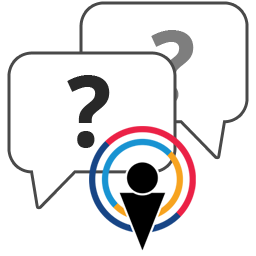 DSII will include a specific training on how to use CGD for campaigns. The trainings support local civil society organisations to design a CGD campaign to advocate for progress on gender-related issues under SDG 5 (Gender Equality) and across other thematic areas like health, education, water and sanitation, inequality, etc. DataShift seeks a consultant to research, design, and package existing CGD Campaign Training materials and create new content, if needed, into a ‘campaigning curriculum’. This CDG Campaign Training will be a combination of a two-day in-person group training and six additional webinars or practical exercises to be viewed/completed independently. At the end of the training, the civil society organisations will have a completed campaign plan ready to implement by a strict deadline of 16 August 2016. See the full scope of work Citizen-Generated Data Campaign Expert. Applications must be sent to datashift@civicus.org by 27 July 2016. Interviews will be held on or around 28 July 2016. Our last blog post explained what we produced and shared in the Learning Zone over the last year. This post will focus on what we found. Why use the ‘umbrella term’ of citizen-generated data? It’s useful in that it helps us to recognise and learn from similar initiatives across different sectors – but we shouldn’t get too caught up on the labels. Everywhere, information provided directly by citizens is being shared with more ‘official’ institutions. All of these initiatives can learn a lot from each other. Civil society organisations have long collected information from citizens as part of their advocacy, as with the Concerned Citizens of Abra for Good Governance’s work over the last 20 years (see this case study). Still, digital technologies do give civil society organisations an opportunity to collect information from many more people, analyse it in new ways (as with this community land-mapping project in Indonesia), and reach more people with what they’ve found. DataShift aims to identify ways that civil society organisations can do this more often, and more effectively. data collected by the Kenyan organisation CARD was used to get more teachers allocated to schools in Turkana. Citizen-generated data is not just an exciting prospect: it’s already getting results. For citizen-generated data to be used to its full potential, we need to understand what it can (and can’t) do. As outlined in our Changing what Counts report, and our white paper on government-civil society collaboration, citizen-generated data is not a replacement for quantitative statistics. Rather, it complements existing data collection methods, often providing essential qualitative data about citizens’ opinions and perspectives on what’s needed. Our in-country research teams found many cases where official institutions were reluctant to use data from citizen-generated data initiatives. Sometimes this was because the authorities did not see how or were unable to use data effectively. In other cases it was actively rejected after the data highlighted problems that official institutions didn’t want to acknowledge. For example, CARD was asked to stop monitoring teacher absenteeism after it highlighted inefficiencies and corruption in Kenya. This relationship doesn’t have to be adversarial, as Buenos Aires’ open data portal’s hosting of citizen-generated data shows. However, as the Argentine research team concluded, using data in this way may be just one element of a successful advocacy strategy. Citizen-generated data initiatives may help to initiate dialogue, but to get results, civil society organisations will probably need to accompany them with broader efforts to mobilise people. The research has also highlighted practical challenges. Few of the initiatives had systematic ways of checking the information that they collected. Those that did try to validate data mainly relied on time-consuming manual verification procedures like telephoning people who had submitted reports and visiting projects on the ground. We still need to know more about these challenges, as well as finding and sharing practical ways of dealing with them. The amount of data collected by different initiatives also varied dramatically – from small-scale projects focused on land rights in a particular market in Uganda, to combining data from existing government complaints systems with Twitter data. Capturing all of this diversity in one unifying framework may prove impossible. 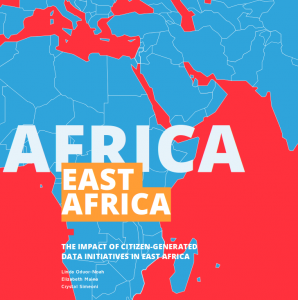 As the East African research team point out, many of citizen-generated data initiatives are small and localised, and the data they collect can’t be generalised across the whole country or compared with other countries. 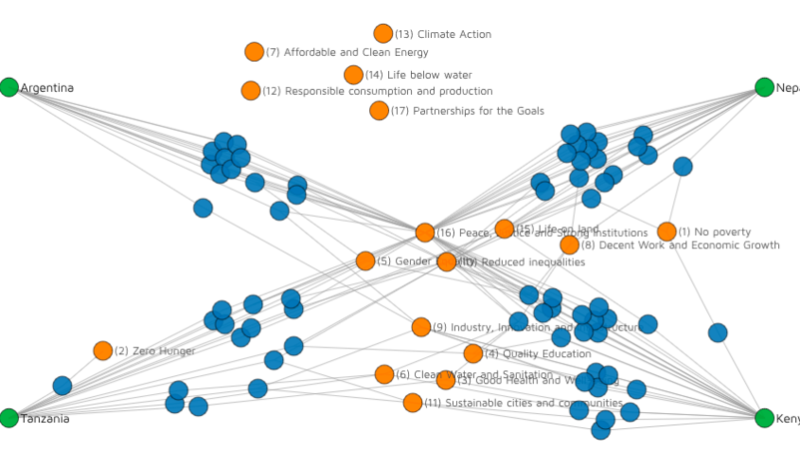 In almost all cases, initiatives didn’t explicitly connect their work to larger narratives like the Sustainable Development Goals (SDGs) – even though their work was often directly connected to them. On this evidence, there’s still a lot to be done before this data can be used to monitor the SDGs in a systematic, cross-country way. Finally, it’s important to note that most of the initiatives that we’ve come across depended upon consistent, long-term grant funding. In a number of cases, initiatives that were producing useful, high-quality data simply stopped when their funding ran out. All the research conducted through DataShift suggests that citizen-generated data initiatives need support so that they can continue their work, develop their methodologies and learn from other, similar organisations. In many cases, these initiatives were generating data that couldn’t be found anywhere else. Whether it was information about land-grabs, police violence or pollution data, these initiatives are making real, valuable contributions in a range of areas. Citizen-generated data is more than just a ‘type’ of data. Our in-country research teams often found that citizens felt empowered simply by participating in citizen-generated initiatives. Citizen-generated data initiatives allowed communities to articulate their needs from their own perspective and portray themselves in a more positive light, countering their feelings that their communities were misunderstood. They’re a tool for citizen engagement; for proving that institutions are listening to the public beyond just soundbites or promises; and potentially for collaboration too. There’s still more to do, however, and DataShift is ready to help support this work now and farther into the future. Today, we’re excited to launch the first of three research reports from DataShift in each of our pilot locations – Nepal, Argentina and East Africa (Kenya and Tanzania). We wanted to know more about how data generated by citizens is being used in Kenya and Tanzania: what difference is it making? There are some limited signs that politicians and policy-makers are beginning to use data from citizen-generated data initiatives to inform their work. Local Kenyan MPs used Map Kibera data to address pressing issues in public schools in Kibera, while data collected by CARD was used to get more teachers allocated to schools in Turkana. However, most local or national state actors at local or national level were suspicious of citizen-generated data created by these initiatives, and only used it to a minimal extent. In some cases, there was active resistance: CARD was asked to stop monitoring teacher absenteeism after it highlighted inefficiencies and corruption, while Twaweza’s work in Tanzania was hampered by the government’s efforts to paint it as seditious. 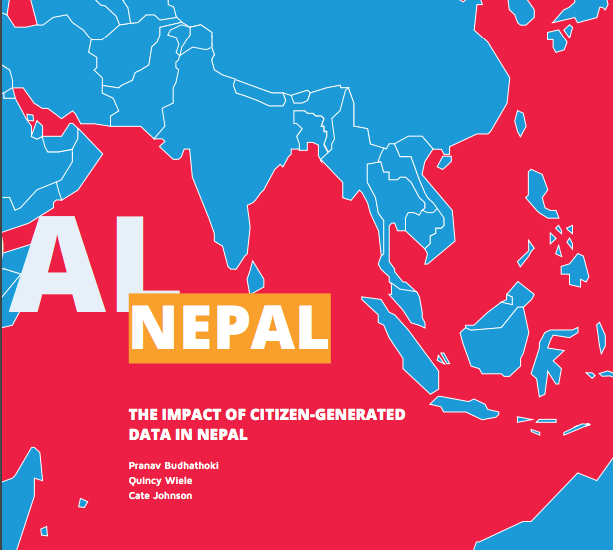 The data from many small, localised citizen-generated data initiatives can’t be generalised across the whole country or compared with other countries, but it is having positive impacts in other ways. In some cases, citizen-generated data initiatives allowed communities to articulate their needs from their own perspective and portray themselves in a more positive light, countering their feelings that their communities were misunderstood. The projects rarely connected their work to larger narratives like the Sustainable Development Goals or the sustainable cities narrative – but their work was often directly connected to them. The Millennium Development Goals were perceived as very top-down: people at local levels never really hearing about them let alone understanding them.